Home News LAFC Weekly Meets the Defenders of the Banc! As LAFC grows in its second year, so does the culture surrounding the club. As a fan it’s impossible to ignore. Something beautiful is happening for soccer in Los Angeles, and it’s happening fast. 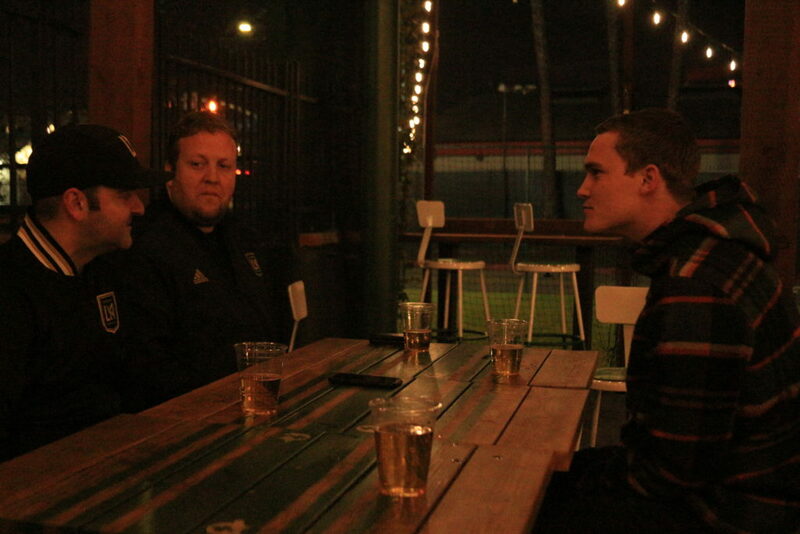 LAFC Weekly had the chance to sit down with two people who are helping push that culture forward. 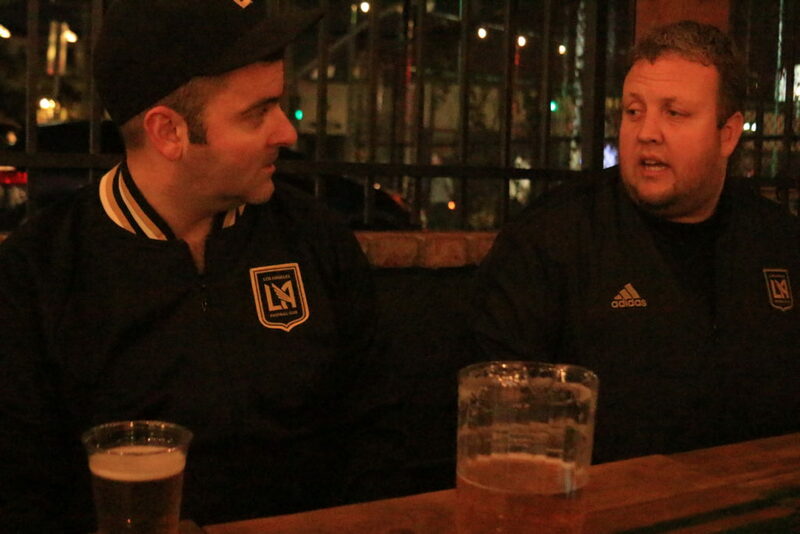 As hosts of the Defenders of the Banc Podcast and LAFC fanatics, J.R. “The Scarf” Lebert and Christian “Filly” Filimon know what it’s like to see LAFC fandom grow first-hand. They couldn’t stay on the sidelines any longer, so they decided to create one of the fastest growing new LAFC podcasts – the Defenders of the Banc. Check out our interview with Filly & The Scarf to learn why they decided to start the podcast, how they became such avid supporters of the club, find out what LAFC player they’d want to hang out with most for a day, and more. Describe a bit about yourselves, where you’re from, how you got into soccer (football), and how you found LAFC. Filly: “I didn’t grow up playing football, I played basketball and baseball, I was a cross country runner in high school, and I did amateur MMA. I got exposed to soccer when I was younger, my family comes from eastern Europe so soccer is in their blood but I’m first generation born in the US – in New York City in particular. I was born in Manhattan raised in Queens. I went to Germany in 1990 right around the time the World Cup was going on, and I watched West Germany win the cup and thought that was really cool. Then 1994 came about and changed everything for me, I really got bit by the soccer bug then. But 94 also coincided with the time my dad took a promotion and we moved to Germany. About that time, I was 14 years old, there was no way I was breaking into any German youth league for soccer (I was about 14 years late), and so I just sort of spectated and really enjoyed the sport from afar. Who’s idea was it to start the podcast? You said you want to be the podcast for the people, can you explain a bit more about what that means exactly? J.R. – how did the name The Scarf come about? How many LAFC scarves do you have? Can we have one? The Scarf: “I’ll answer the last question first, because of something happening on my birthday March 20th – I’m really excited to have made the soft announcement on our podcast; I’ve been working with the team on designing a scarf that will be sold in the LAFC HQ releasing on March 20th. The scarf is an homage to the 3252, to soccer culture here in LA, to the Latino/Latina community at the Banc, and of course to the Black and Gold. I hope everybody likes it when it comes out, it’s pretty cool. They’re not buying a lot of them, I think there’s only going to be like twelve dozen or something so if you’re reading this interview recap on LAFC Weekly make sure you go get one. I’m supposed to be have been able to order a couple dozen for myself, and I’ll make sure LAFC Weekly absolutely does get one. Has the growth of the podcast surprised you at all? What’s been your favorite episode/moment so far through the first 10 episodes? Which LAFC player would you want to hang out with most for a day? 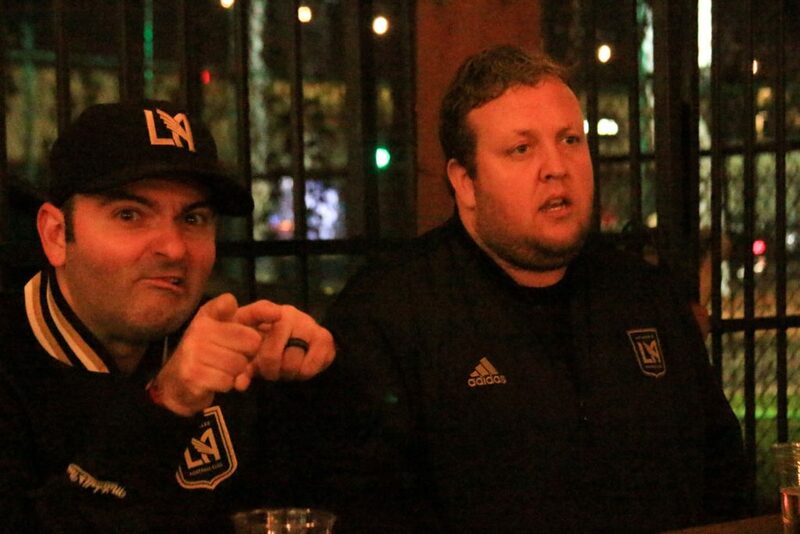 If you could have an LAFC player on the podcast tomorrow who would it be and why? Any upcoming episodes we should be on the lookout for? You can listen to the pod on all major streaming platforms and you can catch them at almost every LAFC home game. We had a ton of fun getting to know these two and we’re sure they will be a staple in the LAFC fan community for years to come. Be sure to come out to LAFC HQ on 3/20 at 7:30 PM for the limited edition “Golazo” scarf drop – we’ll see you there! Previous articleCheck out Banc of California Stadium’s Party Suites!